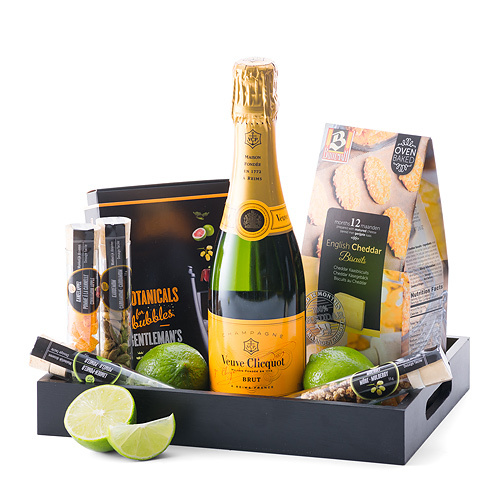 Iconic Veuve Clicquot Yellow Label Brut is the centerpiece of this luxe gift tray. 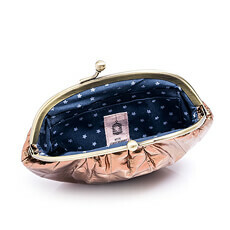 The coveted Champagne is presented with Food Travellers Botanicals for Bubbles, fresh limes, and gourmet Buiteman Oven Baked English Cheddar Biscuits. 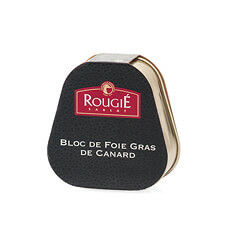 The 37.5 cl size bottle of Champagne is the perfect size for two people to share a toast. 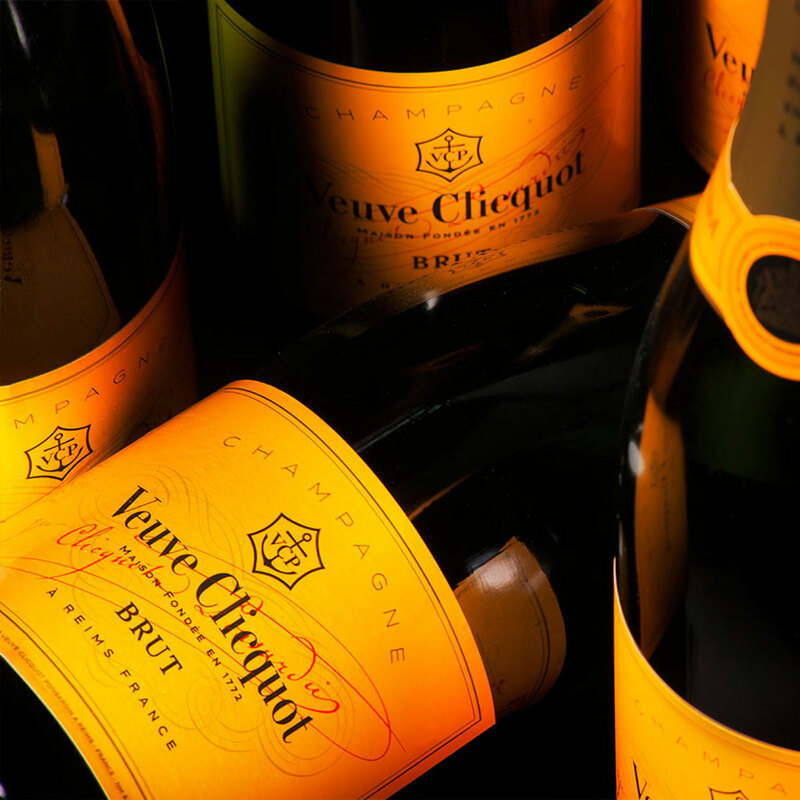 The half sized bottle offers the full Veuve Clicquot luxury experience: initial fruit notes followed by discreet aromas of brioche and vanilla that offer a perfect balance of finesse and forcefulness. 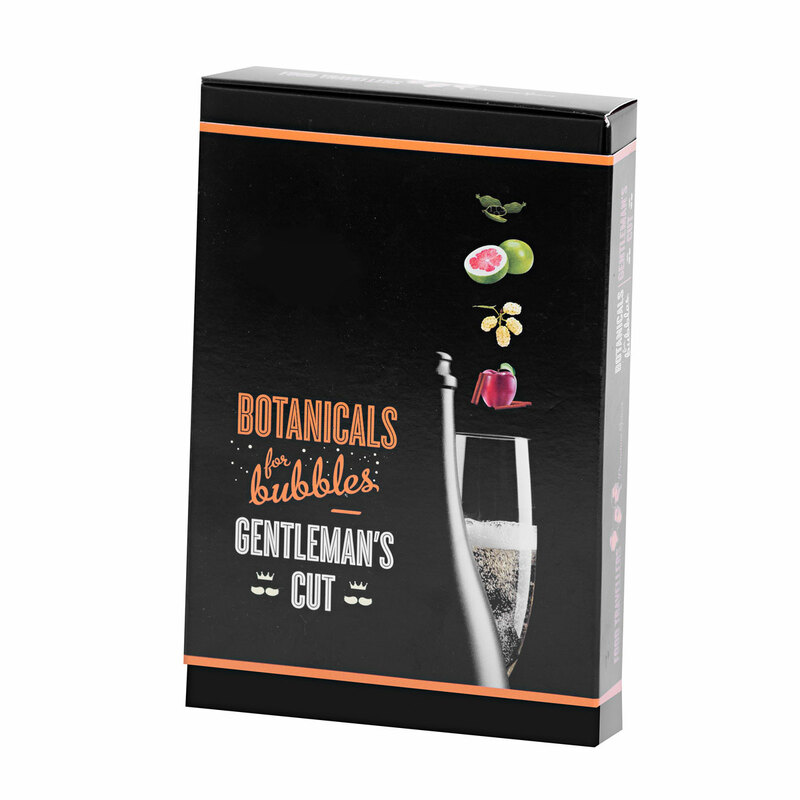 Food Travellers Botanicals for Bubbles are a fun way to add a personalized twist to sparkling wine. 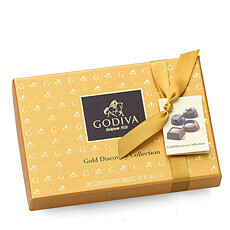 Four delicious botanicals can be added to the Champagne solo or in combination for more complex flavors. The botanicals include green cardamom, lime-pomelo, mulberry, and cinnamon apple. 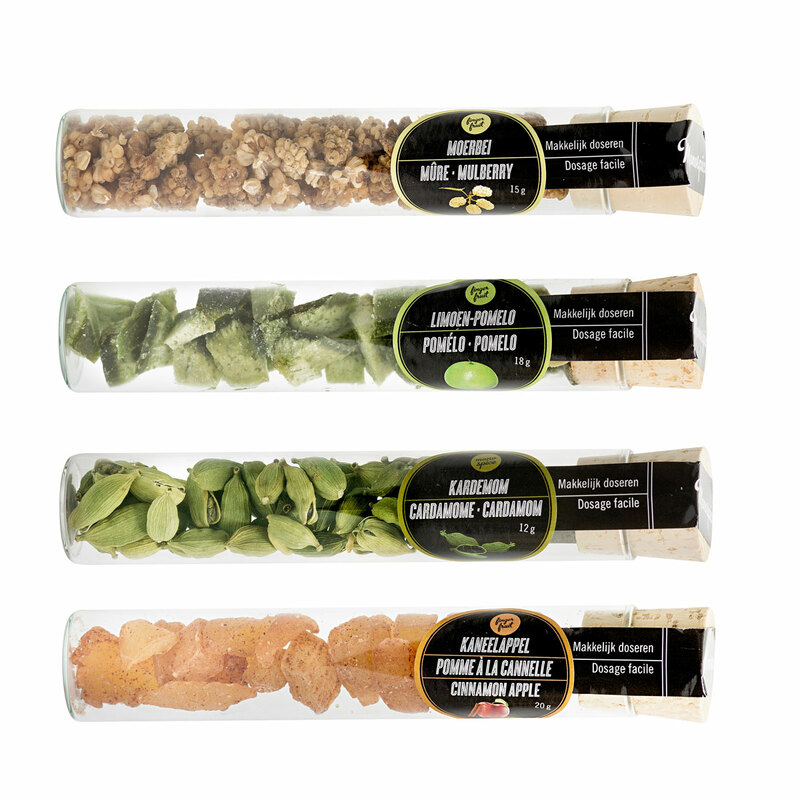 Fresh limes are included in the gift for a fresh dash of citrus. 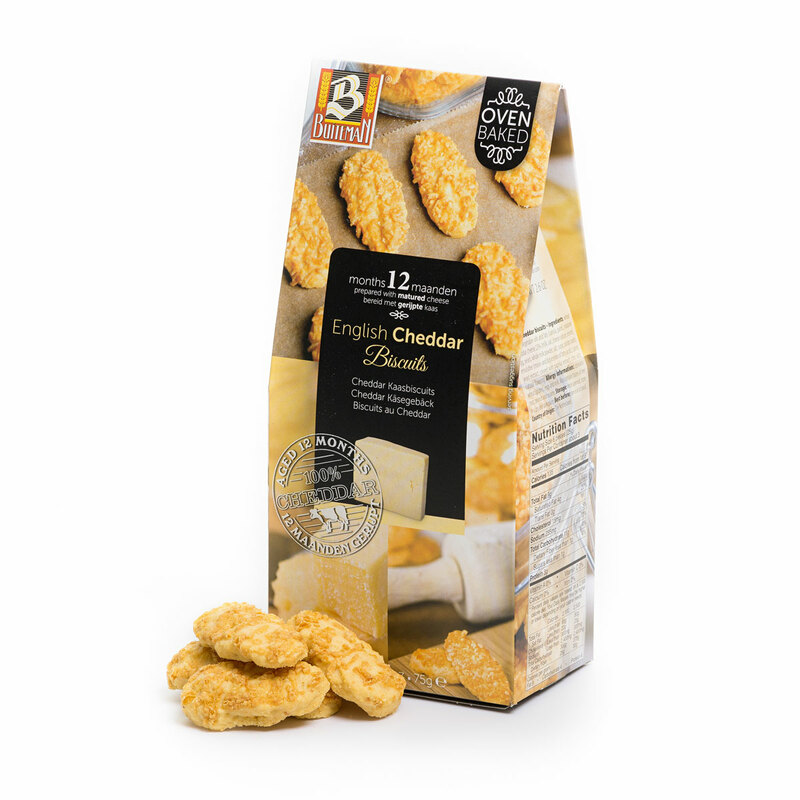 Enjoy the Champagne with savory Buiteman Oven Baked English Cheddar Biscuits from Belgium. This Champagne and snacks gift is beautifully presented in a stylish black serving tray.